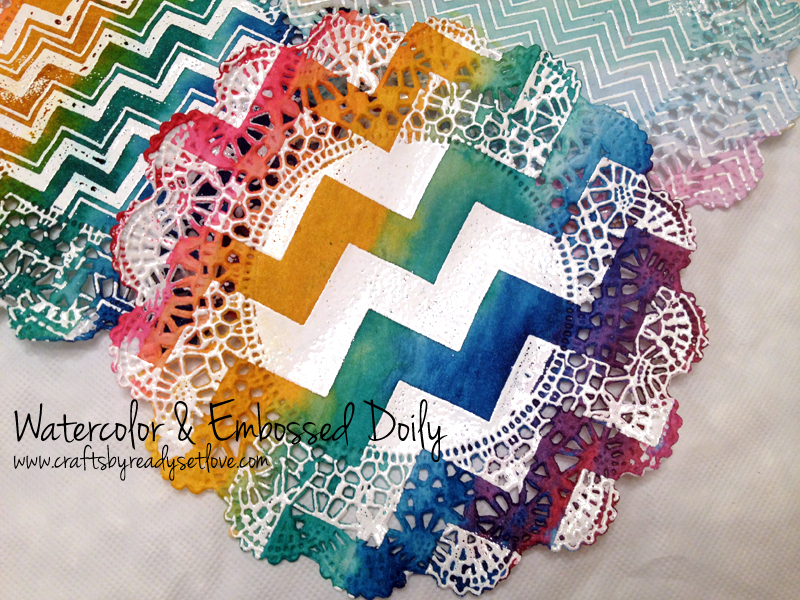 Crafts By: Ready Set Love has a fun tutorial for making a bright and colorful doilywith a trendy chevron pattern using embossing resist and watercolor techniques. What a great background for a card or scrapbook layout! Find direction here on their blog.